I cannot believe that I am writing this post for the final month in 2017. So many great things have happened in 2017 and I cannot wait to see what 2018 has in store for all of us. 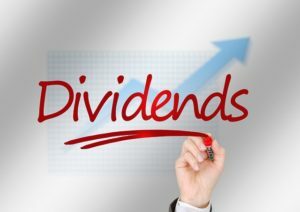 As investors, we have received some great (and some poor) dividend increases during the year. For the last time in 2017, I have compiled a list of dividend paying companies that are expected to announced dividend increases in December. Lanny and I spend so much time monitoring dividend announcements for a ton of companies, so we like to share some our research with all of you. This list isn’t all-inclusive, that would be impossible; but it includes the majority of the companies that we will be monitoring closely over the next 31 days. Now the fun begins. Let’s dive in and see which companies are expected to increase their dividend in December.